* The Global Council assists in recommendations of standards, accreditation of schools and nominations of new members. Governance Structure – The GAFM IBS International Board of Standards Supreme Council, and the advisory council are currently made up of international experts, professors, and business executives from over 50 nations. The Board structure and framework has been dictated by US Laws Statutes and International regulations since inception. Below also is our Supreme Council and Board of Presidential Advisors along with our HGAB Honorary Global Advisory Board. 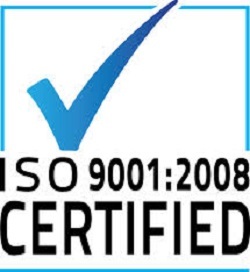 We are TUV Accredited – ISO 9001 Certified for Quality and ISO 29990 Certified for Training Worldwide in Europe. Dr. jur. George Mentz, JD, MBA, CWM® – The Founder, GAFM ® Board of Standards – CEO, – Pioneer of the GAFM ® /IBS Brands * United States & Europe. 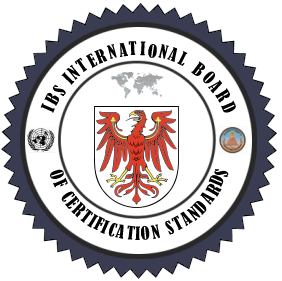 ** The IBS International Board of Standards and Exam Center is TUV Accredited and ISO Certified for Quality and ISO Certified for Training. * Super Board of Standards is responsible for the administrative decisions for the Global Certification and Accreditation Operations which are subject to the bylaws and government statutes ** Faculty Award Winners, Honorary Advisors and general members can not legally speak for the organization nor counsel or advise the organization in any legal capacity. The GAC Global Advisory Council is primarily made up of volunteer participation from industry leaders and academics who wish to contribute positively to industry and standards development and globally includes more than 50 professionals of the highest caliber in the areas of engineering, law, quality, human resources, marketing, business, risk, finance, banking, economics, and other business disciplines, led by an elected Board of Presidential Advisors from Europe, Asia, India, Africa, Arabia, and The United States. The Global Advisory Council for GAFM ® is composed of 50 member professionals including faculty from several universities, financial executives and managers, lawyers, judges, and world renowned financial planning practitioners. 10 Doctorate level professionals sit on our academic committee overseeing standards and ethics. GAFM ® was begun by executives and faculty to provide financial education and certification worldwide through the use of executive training. The GAFM ® Board of Standards is a honorary voluntary board that creates the standards for professional membership and charter board certifications. The Board of Standards USA ™ owns the intellectual property, copyrights, designations, and marks used herein. The Board, since 1998 has giving preference to CHEA and ISO Accreditation guidelines worldwide. Dr. Henry Isaac Adusei BA, CEPA, FCCE, JSD (Director Association of Chartered Economists ) - Ghana Hon. Global Advisor. Spiros Karasavvidis, BSc Physics, MBA, DBA(Cand), CISM, CRISC, COBIT5, ISACA Silver member, ISO27002, CIPM, PRINCE2, Service Desk Institute Research member (SDI), ITILv3 f/SO/ST, ISO20000, Member of the Chartered Management Institute (MCMI), PgCert Business Research Methods, Hon. Global Advisor. Prof Christopher Oyat, PhD, D.Litt, AMC, AHR, CIPM, Comp IMS, DFEIFD, DFPFM, FCE, FIBR, FDTMS, FBQS(hon), FICP, Pr.FIGA., Faculty Member and Professor of Management at The Business University of Costa Rica; Faculty Member and PhD reviewer at Sastra Angkor Institute (Cambodia); Adjunct Professor and PhD reviewer at Ballsbridge University; International Board Advisor at International Academic Journal of Development Research (IAJDR)- Cambodia; Faculty Member at Gulu University (Uganda) and;Honorary Global Advisor – Global Academy of Finance and Management. Dr. Dimitris Koumparoulis, Director of the Economic Department at the UGSM – Monarch Business School Switzerland – Hon. Global Advisor. Luna Christie Tjung, B.Sc., MFP, CVM, CPEP, CHP, Director of Fide Consultant Group, Singapore, Asia. Prof. Thomas W. Goldman, JD, LLM, FAD,CWM, MFP M. Fin. Prof.
Prof. Dr. Rajesh Mohnot, Acad. Head FTMS Business School in Singapore, RBA, MFP™ Mas. F.P. Prof. Luke Tan, CWM, PhD ABD – President Thermed Ent., Inc.
Prof. Tobias M. Mendelson, JD, CTEP, Mas. Fin. Prof.
Prof. Alexander Van de Putte, PhD, RFA, CRA, MFP, Master Financial ProfessionalTM – Professor of Finance at the Rouen School of Management in France, Fellow at Birkbeck College (University of London) and Shell International Executive. Yuen Heng, Kwan (Jeffrey), MBA, MPA, CWM, MFP, CTEP, CVM CRA, CMP – SVP – M&P Global Financial Services, Inc. USA Honorary Advisory Board for Asia. Dr. F. Thomas Winters III, JD, MBA, CPM, MFP Mas. Fin. Dr. Sean Rozario, PhD, MBA, MFP, FAD, CWM, MFC – Special Advisor Asia and Singapore. Steven Burgeman, JD, LLM, CPA, MBA, MAFM, CTS – Tax Lawyer – Illinois, USA – Hon. Gl. Adv. Ryland T. Campbell, CWM Executive Chairman of Capital and Credit Group ( Jamaica) and “Observer Newspaper” Jamaican Business Leader of the Year and Government of Jamaica Awardee. Henry Waruhiu, MPhil, MBA, BA (Hons), MMC®, CIPM®, MAPM®, MISPIM®, MSMS©, CMCE, MIDEAS, MIAPHL, Director of Consultancy & Advisory Services, ESAMI, Hon. Global Advisor. Mr. Eric Asare, MPhil Ag. Econs, MS Resource Econs and Policy, ‎ChE, AFA, PhD Student Applied Econs (Virginia Tech). Muayad H. I. Elbeely, MSc Economics, Master of Business Administration (MBA), ChE® Chartered Economist, GAFM Honorary Global Advisory Board, Central Bank of Sudan, Economist. Daud Pervaiz, B.Com, MBA (Finance), AMC (USA), MFP (USA), MCIM (UK) & Phd (Management) (In Process, Warsaw). Wisdom Adjei Mensah, CHRA, RBA, CIPM, CEMBA, BSc (Hons) and DiEdu, HR/Administrative Manager, Ghana Manganese Company Limited, GAFM Honorary Global Advisory Board-Member. Michael Quaique MBA,CPFA, ICAG, CICTA, AFA, AMA, CMC, ChPA. E-Business and E-Commerce Advisory Council – Inst. of E-Commerce Consultants •Dr. Svetlana Maltseva – Dean – National Research University Higher School of Economics, Moscow, Russia •Prof. Oswald Sui, D.Sc.- Division of Commerce City University of Hong Kong •Dr. Mike Harper, CEC -The University of Colorado Faculty Dir. of E-Com Programs •Dr. E. Oestriecher, CEC, A.A., B.E.S. M.Ed.,Ph.D., N.D., Ph.D. E-Business Executive, Booze Allen Hamilton – Anapolis, MD, USA •Dr. Lincoln B. S. Rosa, PhD, CompTIA ITProject+ SME, CEC, IEC Fellow, MCSE+Internet, System Architect at EDS do Brasil South American •Dr. Mikhail Komarov – National Research University Higher School of Economics – Russia •Prof. Director: Henry Ong, CEC, MPM – Philippines E-Business Professional – Global Advisory Board •Dr. Linda S.L. LAI, Associate Professor, Macao Polytechnic Institute, China •Dr. Ahmad Cameron, BS, MS, MTech, PhD, PMP, MPM, CIPM CECC, AScT – Canada, EU and India •Edi Diwan, CEC – Head of ICT e-Commerce Solution, Experienced Business Analyst, Project Manager, SEO & SMO, Mobile Apps – Indonesia •Anthony Bucci, MBA, B.Comm (Mgmt), PMP, PMI-ACP, PSPO, PSM, CEC – Canada •Guido T.H.J. Willemsen CEC, CPIM, BSc, MSc – Hon. Global Advisor – Netherlands European Union •Nilda Glenn Thomas, MBA/e-Business, CEC, CEA, CEO/CMO/CLO Workforce eTraining Solutions, LLC – CEO eBizprenuer Consulting Group, Business Owner: www.virtualtravelbuddy.com – Michigan – USA. Ms. Thomas business, marketing and e-Business savvy has earned her recognition in Black Enterprise Magazine (2000) and Hispanic Network Magazine – Honorary Board Advisor for CEC and AAPM •Dr. Stamos Karamouzis, Ph.D. Athens, Greece. He holds an M.S. and a Ph.D. from The College of William and Mary. His research interests include artificial intelligence, machine learning, multimedia systems, and educational technology. Members on the Global Advisor List are Honorary by Law and by basic legal statues can not make any legal decision for the GAFM. Also Faculty or Board status is purely an Award Status and Recognition of Academic Excellence, Life Service, and Research. Members may nominate faculty to the board of advisors and faculty members have rights to offer amendments for the innovation of standards for GAFM . Faculty members are in no way considered to be faculty of the GAFM except within the limits of an Honorary or Emeritus Faculty Award Recognition. They are simply recognized faculty members of Select Universities Worldwide that have been unanimously approved by the Chair to receive honors from GAFM . Advisory or honorary advisors and members can not speak for the company by law, but rather US laws and statutes govern who may legally speak for a US company such as directors or managers. The legal location of the Global Certification Standards Advisory Council is based in Italy with legal offices in the USA. All intellectual property owned in the USA.